From the moment Apple Computer installed the first accelerometer in the iPhone, the demand for these types of motion sensor devices has exploded. Today, the ability to tap, scroll, tilt, rotate, and switch from horizontal and vertical displays has become standard features on tablets and smartphones. Consumer device manufacturers are incorporating MEMS-based motion sensors into all types of applications, and we have only touched the tip of the iceberg. 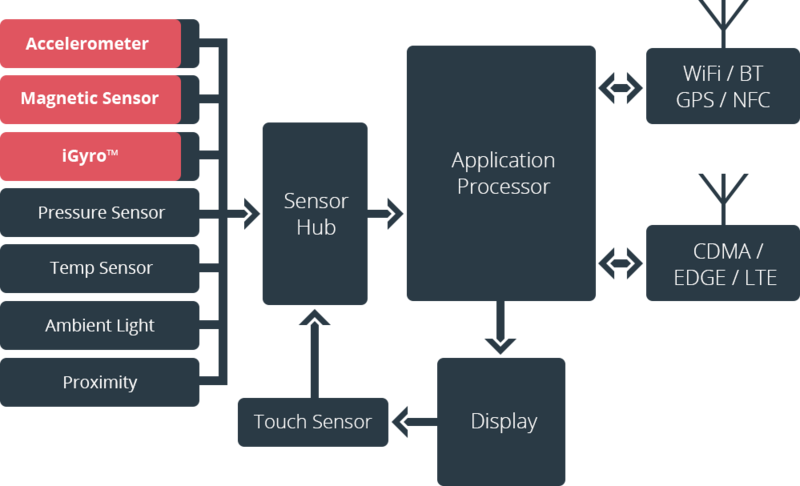 Every smartphone has an accelerometer to enable screen rotation. When a user rotates the screen 90 degrees from landscape to portrait or vice versa in order to view a photo or read text on a wider horizontal screen, the accelerometer is being used to determine relative movement. Improves significantly when mobile device motion is used to control game input directly. Basic gaming can be supported by a 3-axis accelerometer, with improved motion control enabled with a combination of accelerometer and gyroscope (or alternatively magnetometer). Accurate navigation applications will rely heavily on data from multiple motion sensors. Net connected cellphones are increasingly used as a primary navigation device, both in-vehicle and for pedestrian use. While GPS provides accurate location outdoors, given technology limits, it is generally not available indoors or sporadically available in dense urban areas. Motion sensors support dead reckoning, where a user’s position is tracked from the last known position, enabling accurate positioning indoors and in GPS-challenged areas. mCube delivers a complete portfolio of highly accurate and cost-effective MEMS motion sensors that enable smartphone and tablet manufacturers to improve user interactivity and deliver new motion-based applications.